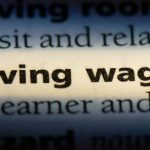 The idea of the living wage is back on the political agenda. 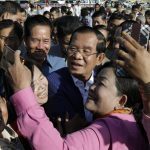 Hun Sen and the Cambodian People’s Party (CPP) won a recent landslide victory in the Southeast Asian country. 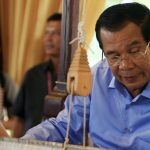 The recent ABC Four Corners story “Champagne with Dictators” shows Cambodian Prime Minister Hun Sen at a political rally telling the ABC reporter that Cambodia will welcome more refugees from Australia - a direct message to Australia and a distraction from what is being called a “sham” election last week. 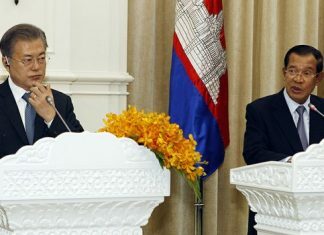 Forty-three years ago today, the Khmer Rouge took power in Cambodia. Their radical regime, led by the dictator Pol Pot, inflicted countless atrocities and left deep wounds. 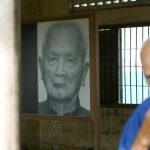 Twenty years ago, on April 15, 1998, Pol Pot, the leader of Cambodia’s genocidal government during the late 1970s, died in his sleep at the age of 73.